Objective: Hypertension, as a common problem during pregnancy, is a major cause of maternal and the fetus morbidity and mortality. Anti-hypertensive drugs are used to prolong the pregnancy or modify perinatal outcomes in pregnant women with hypertensive disorders. Severe monitoring of blood pressure is subsequently essential in these mothers. The aim of this study was to evaluate the correlation between divided doses of chronic hypertensive drugs and the end of pregnancy in mothers with gestational hypertension. 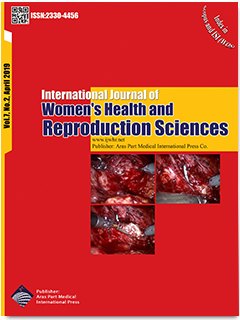 Materials and Methods: In this prospective research, 99 pregnant women with chronic hypertension, who were treated with anti-hypertensive medicines, were studied during pregnancy. During routine follow-up of these mothers, the number of the drug and the divided doses were recorded. The incidence of maternal and fetal outcomes were evaluated according to the number of less or more than five divided doses. Results: Maternal and fetal-baby complications were observed in 5/50% and 5/53% cases respectively. The incidence of maternal and fetal complications were significantly enhanced by increasing in the number of up-taken anti-hypertension drugs. The maternal and fetal-baby complications were higher in mothers received more than five divided doses compared to those received less than five doses. Conclusion: Based on our results, chronic hypertension were associated with maternal and fetal-baby complications in half of the cases. It is clarified that precise blood pressure monitoring and regularly taking of anti-hypertensive medicine may decrease the hypertension side effects. The awareness about this field in the pre-pregnancy consulting is considered as the patients' rights and should be respected.